Interesting free event below with local food, craft beers, and a great topic for those in tech (probably at least half of us). To register, just click here. PayPal Town Hall is at PayPal HQ and faces North First St. Park anywhere! Not everyone uses a computer in the same way… yet many developers tend to build web experiences as if they do. Nicholas Zakas is a renowned engineer, known for his leadership in front end architecture, including performance and maintainability. 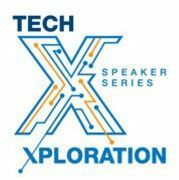 an opportunity to meet and exchange ideas with the brightest TechXplorers in the South Bay! RSVP now to get your seat. How to find us: Town Hall is at PayPal HQ, facing North First Street. Public Transit Info: PayPal Town Hall is directly across the street from the Karina Station of VTA/Light Rail in San Jose, CA. Parking Info: All unmarked spots at PayPal HQ are up for grabs. When you pull into the campus, look for Town Hall (large building says "Town Hall" above doors, faces North First) and then park where you'd like. Please RSVP for you and your guests to make check-in speedy. Please also bring a valid ID. Victor leads the Accessibility Team at PayPal. The team is responsible for ensuring that users with disabilities can effectively utilize PayPal's products and services, both on mobile and desktop devices. Prior to PayPal, Victor oversaw the implementation of the company-wide accessibility activities on the technical side for Yahoo! In addition to his job responsibilities, Victor has a passion for jazz guitar and participates in various open source projects, the most known of which is JSonar, the software which enables visually impaired musicians around the world to use Cakewalk Sonar, the world’s leading music recording application for Windows.